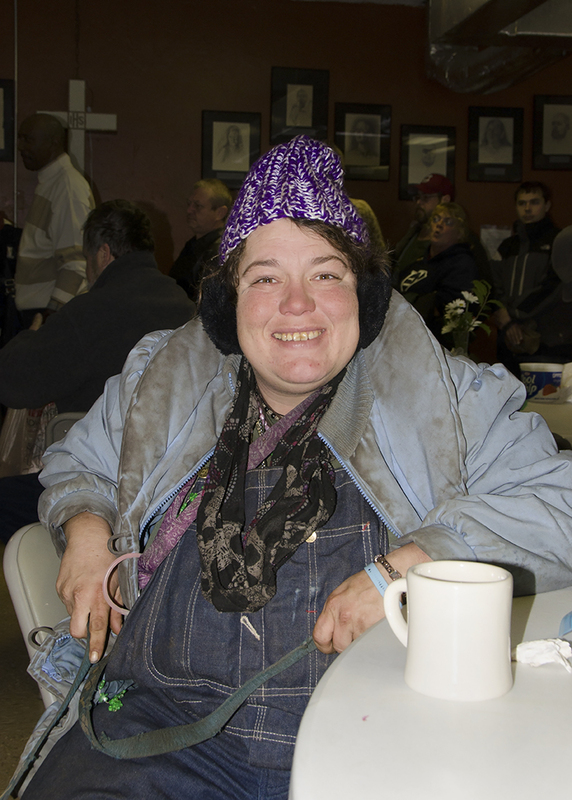 We caught Raven in a jovial mood on Christmas Eve while she relaxed with a cup of coffee and her dog, Precious. Raven asked that we continue to pray for her husband, Donny, who has been quite ill in the past few weeks. Though they are unhoused and have been camping under one of the local bridges, she said she has managed to keep him comfortable with a few extra blankets hung around his bed to keep the cold wind out. She reported that he was feeling somewhat better now.